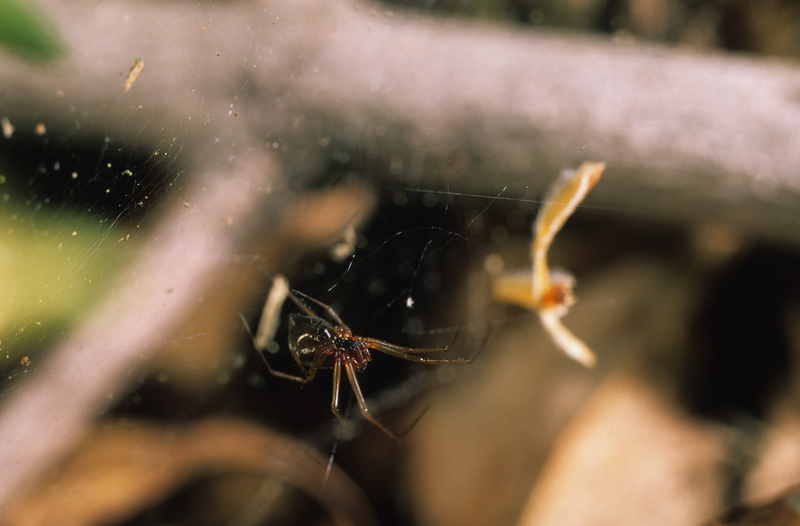 There are 129 species of sheetweavers known from Ohio. 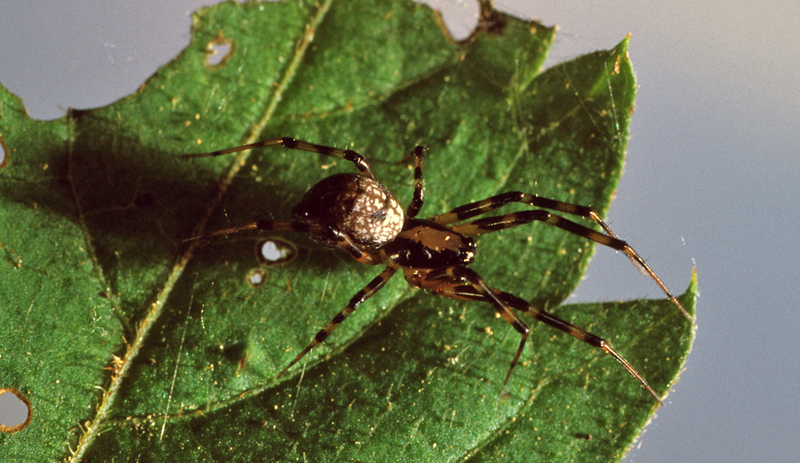 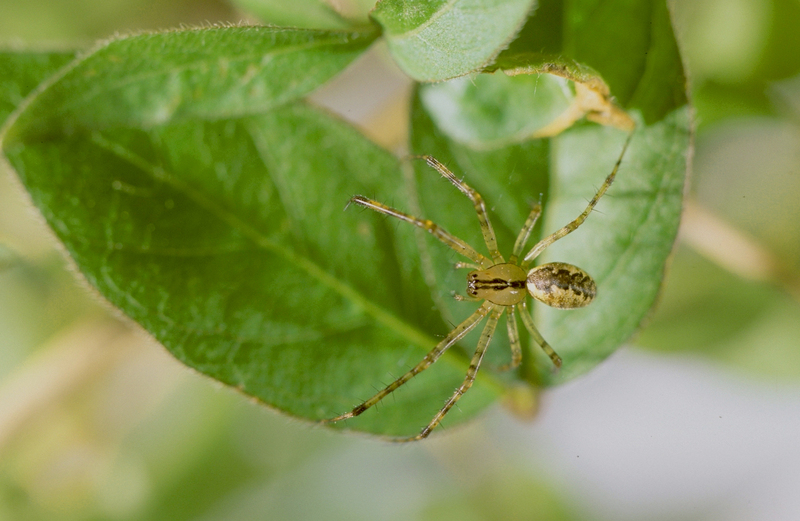 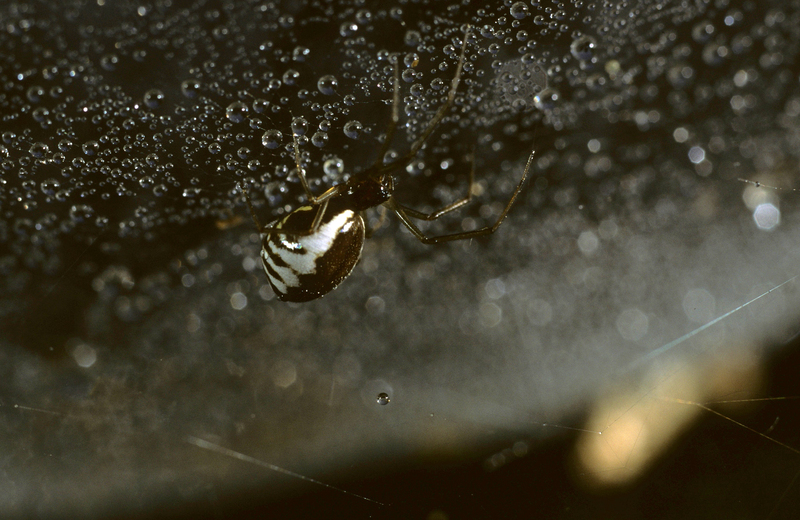 This is our largest family (in terms of number of different species) and represents about 20% of Ohio spider species. 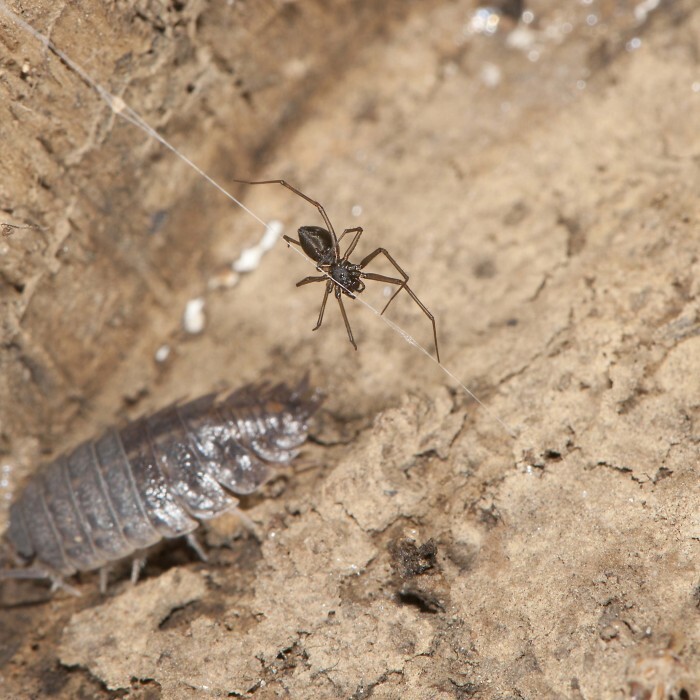 This family includes more species in Ohio than any other. There are two groups (subfamilies): The true sheetweavers (Linyphiinae, 46 species), and their tiny relatives the dwarf sheetweavers (Erigoninae, 83 species). 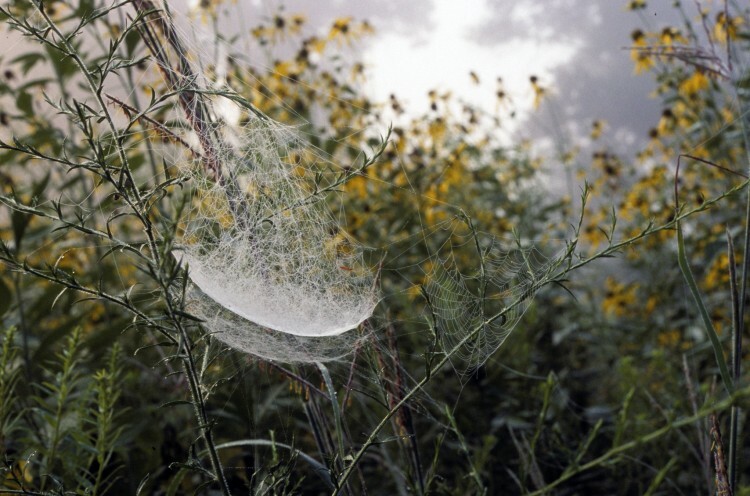 The webs of these spiders form a flat or curved surface suspended from vegetation or over an opening on the ground. Some tiny species build webs in the depressions made by the footprints of animals. 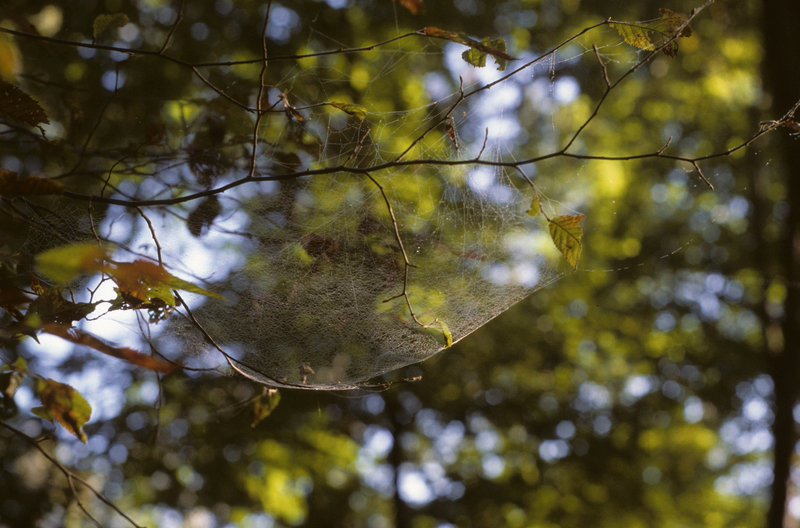 The spiders hang beneath the web and attack prey that wander or fall onto the web surface by biting directly through the silk webbing. 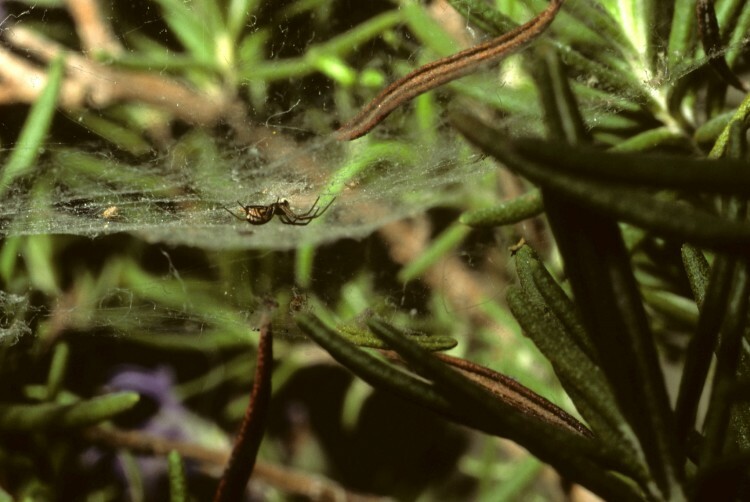 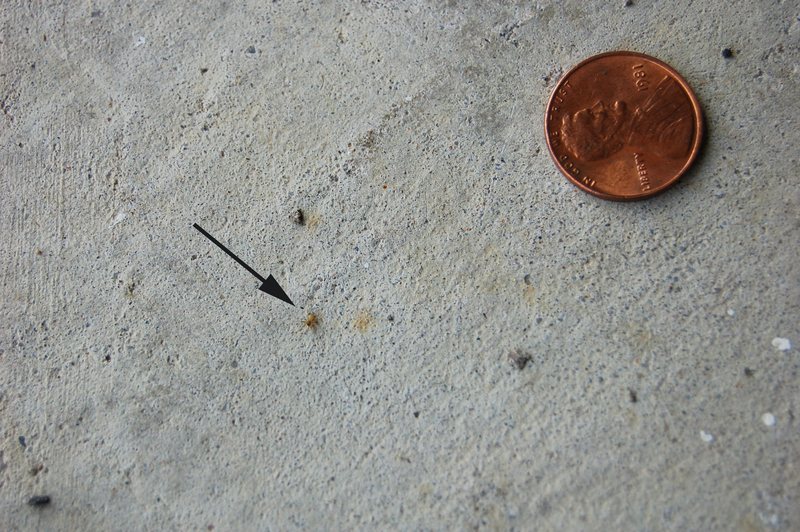 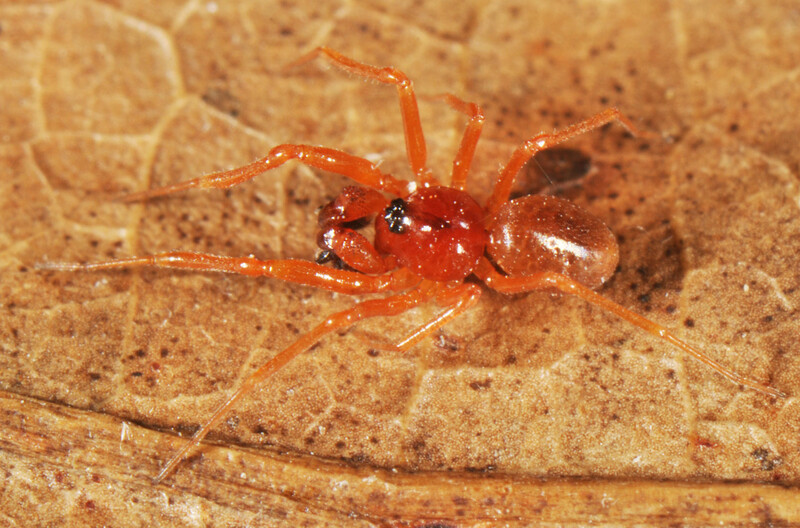 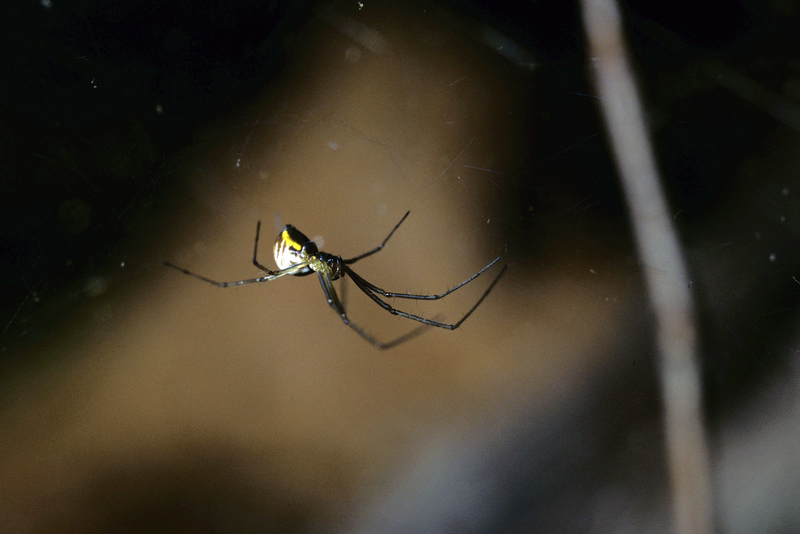 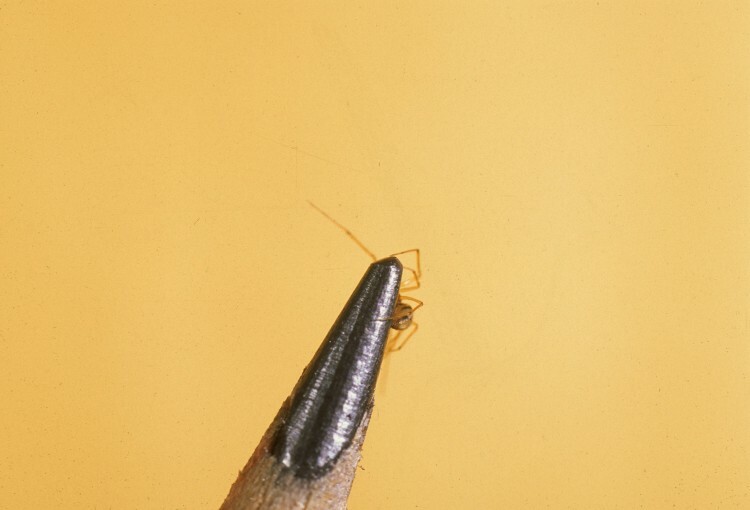 Most species are tiny; some are among the smallest of spiders. 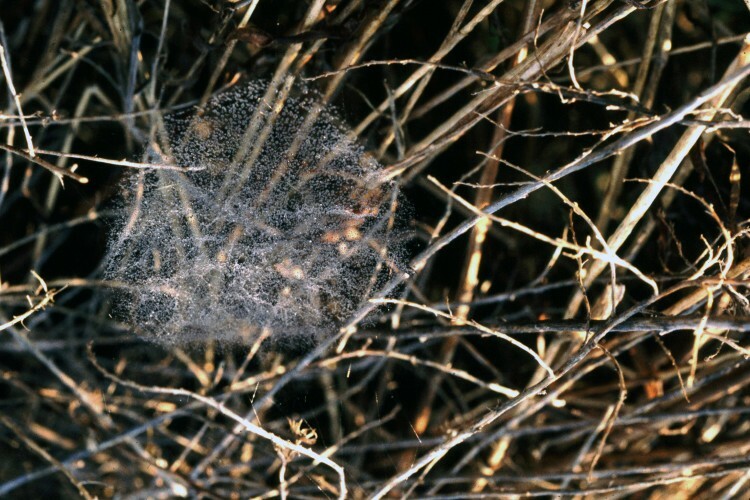 A few of the common and larger species build distinctive webs for which they are named; for example, the “bowl-and-doily” spider, the “filmy-dome” spider, and the “hammock” spider. 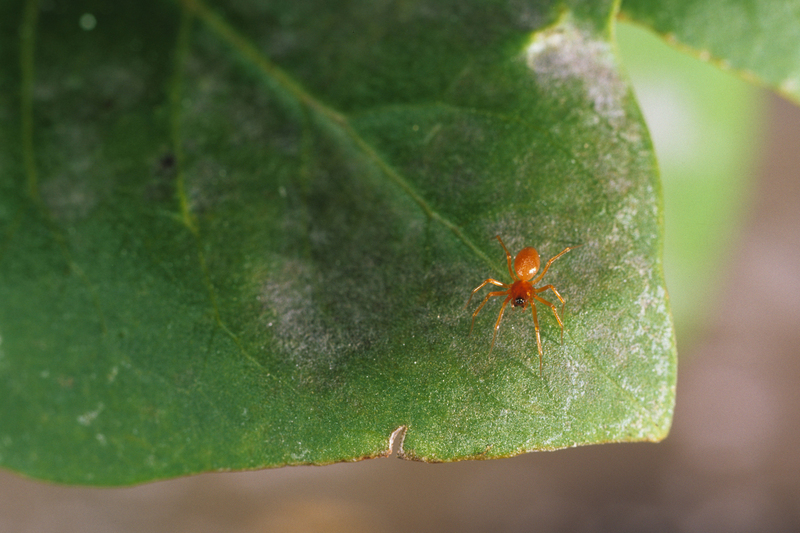 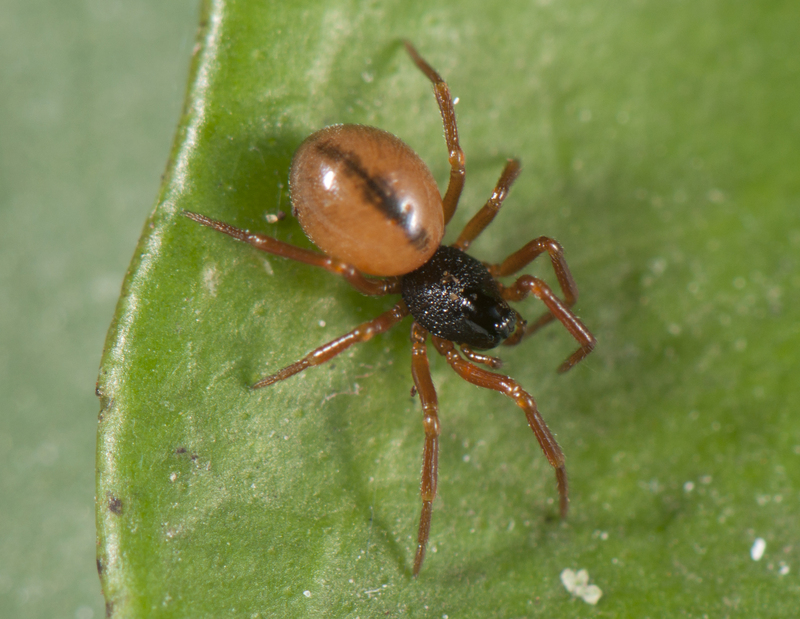 Many of the dwarf sheetweavers aren’t known to build a web, but wander through the leaf litter on the ground in search of prey. Some species mature in every season but most reproduce in the spring. 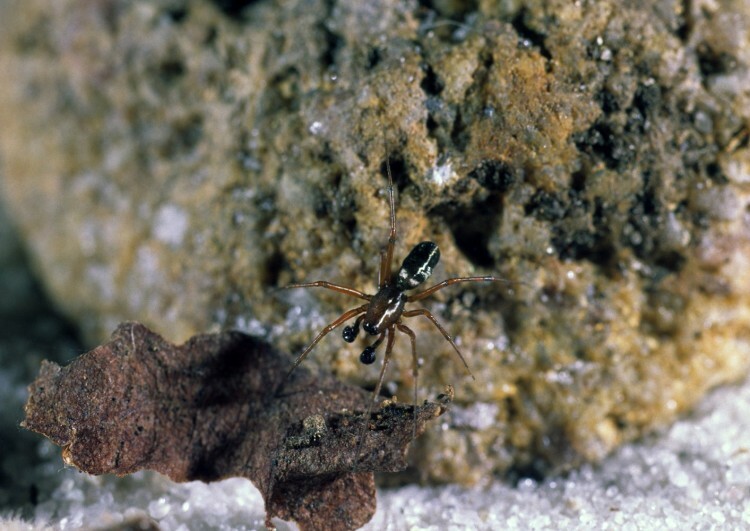 Some of the smaller species that inhabit the leaf litter of forests actually mature and reproduce during the winter months. 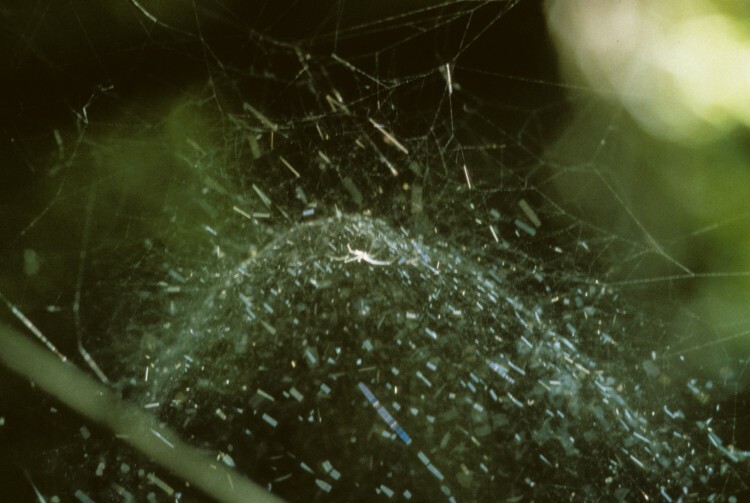 Linyphiids are famous for dispersing by ballooning (flying by means of silk strands carried in a breeze), and these spiders are often responsible for the sheets of gossamer which sometimes coat fields and fences. 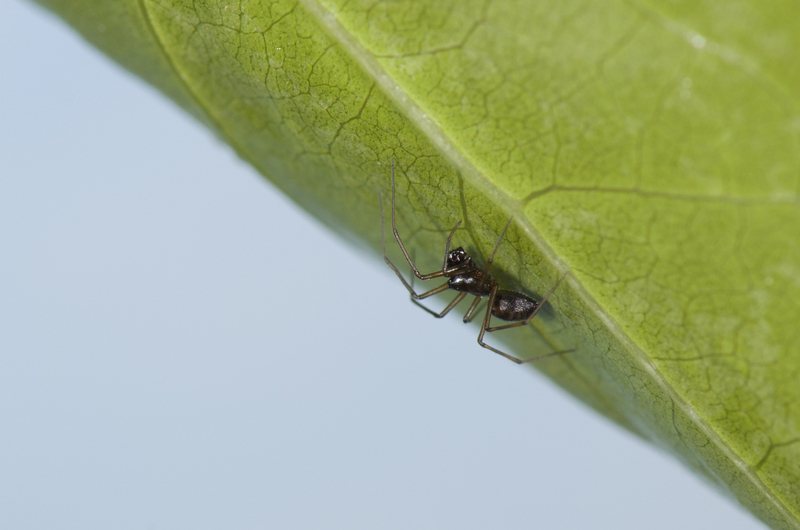 small wandering sheet-weaver (Linyphiidae) see at arrow!